caster mounts for long lasting use. 1-1/2" shelf lips down (flush) on all shelves (see options). Clearance between shelves — 9". 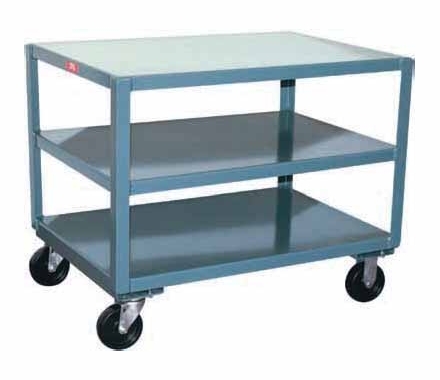 Overall height — 30" (34" with full pneumatic casters).